$11,658 from one email. Mini case study of the entire campaign and comparison from 2 years ago. 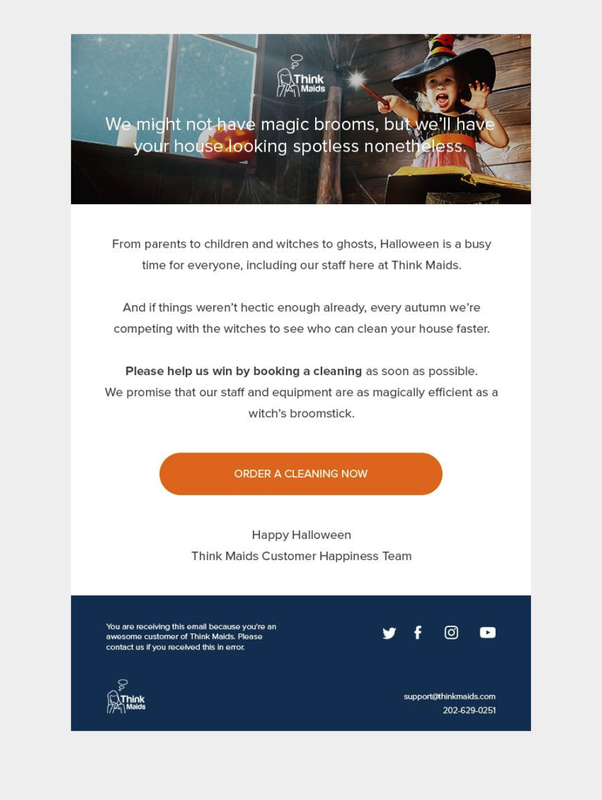 For this mini case study we duplicated a campaign we ran 2 years ago for maidsinblack to see what things are looking like now. Here’s a comparison of the results and a detailed breakdown! Current result October 2017: $11,658 in revenue. Previous result July 2015: $10,300 in revenue. 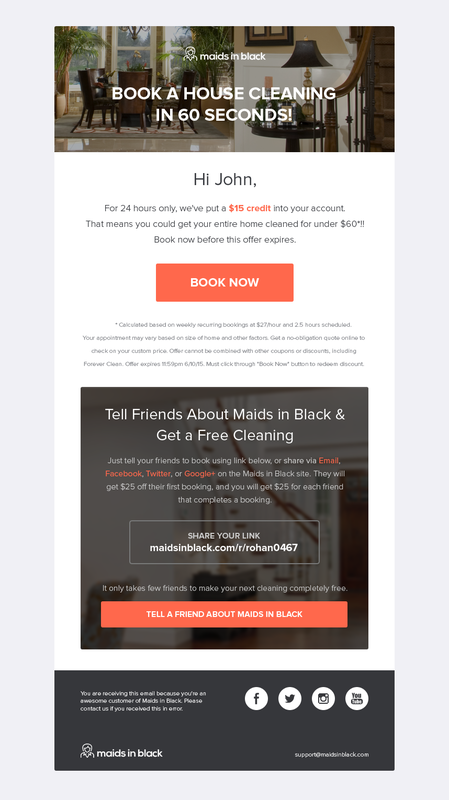 I find that dollar amounts vs % off seems to work better for us. 1) The biggest change is our email open rates fell from 41% to 25%. Why? A portion of our email list may have aged out a bit and I know we didn’t do a great job keeping the list nurtured. Also DC is a very transitory (right word?) city. In two years a huge population of our audience moves away or they could have just aged off our list organically as well. 2) Promotions tab – The impact of this is hard to quantify but no question Google’s algorithm has changed over the years and I wouldn’t be surprised if a larger % of emails are being caught there than 2 years ago. This is something that Kevin’s team will help us figure out in future campaigns. 3) Time of campaign. Should have thought of this earlier and ran it in July as well. This is a cyclical business and late October is a lot slower in general than early July. 4) Nurture those lists. I don’t enjoy the process of email marketing and haven’t kept this list as nurtured as could be. I bet these numbers could have been double if this list was warmer. Either way, emails are alive and kicking! Nothing beats emails. It will take a while if you’re now starting out to get a couple thousand emails but make sure you start collecting emails from day 1 and keep nurturing your list with giveaways and discounts and free stuff and contests, and whatever else. Letting our email list kinda die probably cost us quite a bit here, but we’re now on a nice schedule. Next Steps: Later this week, will hit up the folks that didn’t open the email and I can guarantee we’ll add a few more thousand dollars to this when it’s all said and done. All in all, no complaints here with $11,000 coming in from this quick campaign. We worked with Kevin Pereira’s company YeahEmails on this and we’re working with them for our holiday promotions campaigns as well. Get your emails ready peeps, the holidays are upon us!! !